It was a Monday, neither too cold and definitely not too hot. Just very windy. Time to check out some Wiltshire historic land and the small village which is situated within a circle of ancient stones. We decided to take the long way to see Britain’s unsung Mystical destination and the village of Avebury which is situated in the middle of Neolithic stones. Just a mention that this is the second place with said stones we have visited, the first was in Carnac, Brittany in France. Where in Carnac there is long, mysterious rows of standing stones were erected in parallel lines long before the pyramids of Egypt. That is another place worth a visit. Up and down a few hills, thankfully due to its chalky soil it dries rather fast with the road not too muddy. Past a large cowshed, then finally the view of the village was in sight. For a moment or two, I did wonder if we had started off on the right track. It wasn’t the most pleasant of weather days, with a cold wind whistling past my ears. We had walked 7 km with more to come, so for me, that meant we needed to stop and have a coffee before we ventured over to appreciate the stones with a close-up view. Unlike Stonehenge, most of the stones at Avebury are able to be touched and walked around, which makes it quite a unique experience. At the moment the usual cafe is having a refurbishment [until the end of April? ], though luckily for us the National Trust had set up a pop-up cafe, so for many other walkers and us could indulge in a coffee with a scone, jam and the delicious clotted cream. We had a satisfied look on our face similar to a cat who had just devoured a bowl of cream. Full and content with not a cheese sandwich in sight it was time to admire the small village of Avebury. The first stop was the museum. Unfortunately, our arrival coincided with a bus load of people, we decided to forgo that part. Instead, we bought a ticket to view the manor garden. After such a harsh winter the garden isn’t at it’s best right now, a month from now would have been more ideal to enjoy the blooms and the work that is being currently done. As I have mentioned on one or more occasions, timing is everything! The Manor and the rest of the quaint houses were enjoyable to view and admire as we strolled past them. Not forgetting the chapel and dovecot that caught our attention. Now to the Neolithic stones for which this place is famous for, they are set in a circle surrounding the village. It was now our time to commune with the megalithic world. We head into the south-west quadrant. Towering over us is a curving row of sarsen stones weighing between 10 and 100 tons apiece. Greyish and weathered, the Avebury stones are surrounded by a deep circular henge dug out of the soft chalk ground by Neolithic tribes some 5000 years ago. What was the purpose of Avebury Stone Circle? No one really knows. Though it’s believed to relate to the worship of a fertility goddess. The stones weren’t shaped but were chosen for their natural forms: mainly rectangles to represent the male and diamonds the female. Initially, the vast Avebury Stone Circle contained two smaller circles. One which held a massive phallic-shaped Obelisk is now lost. The other involved three female stones [two are still standing], these were known as the Cove and were aligned with the northerly rise of the moon. Some believed the Avebury Stone Circle was the work of the devil, which lead to the toppling and burial of the stones, a practice that was only halted when one landed on a travelling surgeon-barber, prematurely entombing him. The other school of thought was that the smaller stones were most probably used to build. [information gained by a knowledgeable blogger and historian – April Munday]. Further destruction of Avebury Stone Circle came in the 17th century when many of the stones were cleared for farming. Finally, in the 1930’s, a wealthy anthropologist, Alexander Keiller, spent today’s equivalent of £2 million to partially restore the site. Wiltshire is indeed a place of mysteries with the Avebury Stone Circle not the only thing to view. If you have the time, go past Silbury Hill as you can see West Kennet Long Barrow. This is a multi-chambered tomb as old as 3500BC. To contemplate what we had seen, we had a beer at the only pub in the world inside a stone circle. So says the sign on the outside wall. Then came the last leg of our walk, back to the car via a different way. This required us to follow in a zig-zag fashion from one field to another and across roads which were, in fact, a stone-lined processional route that leads us from the stone circle to the Sanctuary, where an ancient temple once stood. It was a grand day, with a longish walk, food to replenish, ancient history to make us think. Then a beer in a 400-year-old pub in the middle of a Neolithic stone circle. What more could a girl want on a Monday in April? Linked to Jo’s Monday Walk – today she’s in South Shields, where she discovers a Roman Fort. A place we have yet to explore. Globalhousesitterx2 has been nominated for an award. 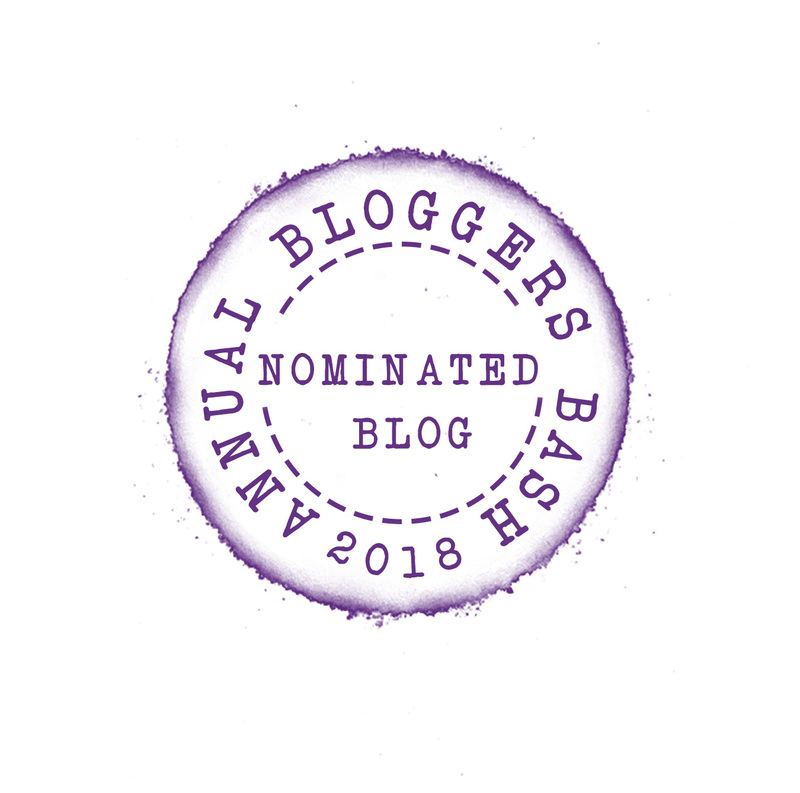 If you enjoy my blog and you have a spare few seconds, would you mind voting for me HERE It’s very simple and there’s no need to register or provide an email address, just vote for Global Housesitter x2 under The Most [original content] Informative category. Wow…great post and beautiful pictures! Thanks very much for commenting and pleased you enjoyed it. I’m really enjoying your posts in the UK Suzanne. We’ve been there lots of times, and managed to get a reasonable feel for Lancashire and Yorkshire, but not much of anywhere else. Family visits of an only child (my Paul) – seemed to demand all our time there must be spent with his parents (not resented time – they were lovely in laws, and their only child lived in Oz with me.) Then a few feuds with beauracacy in the final years of Paul’s parents lives over the care they didn’t receive (I could write a book) and we both vowed we’d seen the last of the UK forever….. Now less than two years after Paul’s dad passed away, and thanks to blogs such as yours, I’m slowly starting to reconsider. Perhaps a trip there when we’re free to wander around at our leisure may be rather nice. We think we’ll probably combine it with a trip to Italy. I love places like this. This circle looks great because of the walk to get to it, and the beautiful countryside. Although I admire the fact that you waited for 7km before having a coffee, my walks usually start with coffee – and preferably cake! It’s ideal weather for walking at the moment. We love the English countryside. I would love to see this. Reminds me of Newgrange in Co. Meath. It is pretty cool as place. I think you would love it! Wiltshire is such an under-rated county with so many wonderful places such as Avebury. What an interesting place and to top it all a pub in the middle. Perfect end to the day. I think you are right regarding the tourism side of things. Very popular in places for locals to go like the forest walks etc. I hadn’t heard of Avebury before so thank you for sharing. The idea of drinking a beer in a 400-year-old pub sounds fun! You are welcome Jennifer and it was fun plus a privilege. Thanks Sam, we thought so too. Love walking, eating and viewing something different 🙂 How are you today? I’ve been there a couple of times and I’m not in any hurry to go back. I remember the Kennet Longbarrow more than anything else. That was rather creepy, because it’s a grave that you can enter. The stones, especially the smaller ones, were more likely to have been removed for building purposes than because anyone thought they were associated with the devil, although it’s not as good a story. The same thing happened with monasteries after the Dissolution. On a historical note, Christianity arrived in England in the first century AD, not the Middle Ages, although it was many centuries before it became the dominant religion. If you’re going Stonehenge way, go to Old Sarum instead. It’s an Iron Age hill fort. On a sunny day you’ll have great views of Salisbury and the surrounding countryside. April, thanks for the added information. It is very hard to find facts that are correct and everyone has a different story. Though I am sure that the fear of the unknown would have been very prominent in people’s minds back then. I will fix the part about the Christians. Thanks, April for putting me right! Stonehenge is not on the agenda, too touristy for us that is why Avebury appealed and more so the walk around the countryside. Yes, the countryside around there is lovely. It’s at the end (or the beginning) of an ancient drovers’ path – the Ridgeway. You can walk along it all the way to Ivinghoe Beacon in Hertfordshire. We have done three walks along the Ridgeway so far. Enjoyed it and the weather was very kind to us! The sun was shinning unlike today! I have rectified my post and referenced it to you . Thanks April. It was very interesting to walk amongst the stones. Definitely helped the energy levels though it no doubt kicked in for our walk with Bess and Molly when we got back! It’s so refreshing (but maybe a little worrisome) that you can walk among the stones themselves. Worrisome not that I think they’ll fall (although they could, I guess), worrisome that people might do them harm… anything for a selfie or Instagram pic, you know. Your breakfast looks lovely (I’ve never had clotted cream) and I love the words on the coffee cup. Janis, not sure if anyone could climb them and there is no advantage to do so. I think there would be surveillance around. Nothing like an classic English morning tea 🙂 It was lovely to know some (hopefully) of money was going to keep history alive! Do I spy jam THEN cream on those scones? This is very pleasing to see, Suzanne haha. Avebury looks lovely. My Grandmother was from Wiltshire. I should really go back to explore it some more. Hahaha, oh yes you do 🙂 The second half had way too much cream and every mouthful was enjoyed 🙂 Hayley, Wiltshire is worth a visit, it was an area we had visited in depth. It is very similar to the Cotswolds. Lovely thatched roof homes, so reminds me of cute doll houses. Thanks Cathy. That is exactly what makes Avebury so much more appealing than Stonehenge, the lack of tourists. I’m not sure if people realise that Avebury is more historic? I don’t think they do. Stonehenge is more well known and iconic, most people gravitate to it. Not sure why, with a big fence around it near a busy motorway, if memory serves me right! It was a novel place, Anabel. The place was not too busy with tourists, which was a blessing! What more indeed, Suzanne? 🙂 🙂 Our walking group wasn’t out today so a very breezy walk home from our town centre had to do. It’s gone back to cool again, which is rather a shame, but I enjoyed sharing the stone circles with you. I know the scone is long gone. 🙂 Many thanks!